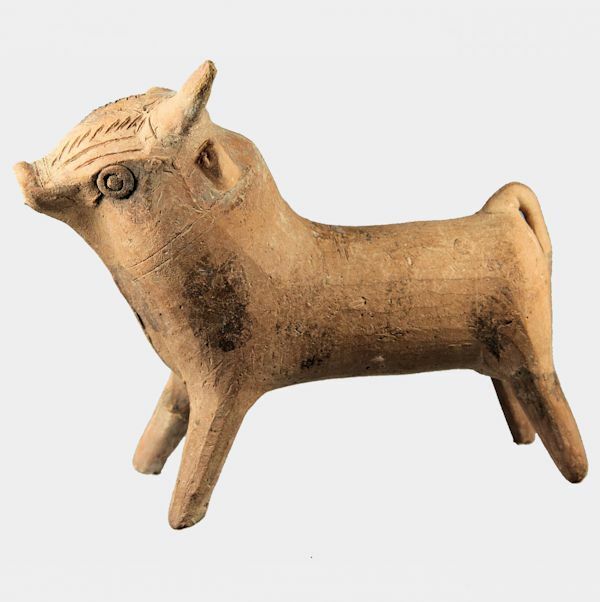 A sizeable moulded pottery protome in the form of a bull’s head, the top pierced for suspension. Ex. private collection, Surrey, UK.